So what is Sparkle Surprize? A Sparkle Surprize is a balloon gift delivery that LIGHTS UP. It is inside a beautiful large white box with a bow and the recipient has no idea what is inside….it’s a Sparkle Surprize !. We came up with this concept and to our knowledge we are the only ones in the world delivering a light up balloon in a box. The ribbon of the Balloon is called a “Ribbon Lite” and is powered by 3 x AA batteries, which are replaceable. The presentation / delivery is what we are most proud of, we deliver Sparkle Surprizes in person, we do not use couriers and hence the in person delivery becomes a huge part of the Surprize. Whenever possible we take photos and or video the person receiving the Sparkle Surprize and then send that to you, the person who has sent it, so that it feels like you were there when they opened it. We now also offer Jumbo Sparkle Confetti Balloons with Ribbon Lites attached as a new gift delivery and soon we will be offering stuffed balloons, a Jumbo Balloon with a soft toy inside. Every gift we deliver lights up in some way, we will always keep with the theme of it being a Sparkle Surprize. We are a small Brisbane based Company and we deliver to the Gold Coast down as far as Byron Bay, we will also deliver to the Sunshine Coast and Toowoomba with notice. Our goal is to have our light up balloon in a box, our Sparkle Surprizes received by as many people as possible. Our Motto is ” we deliver smiles’ because every single person who receives a Sparkle Surprize has a huge smile on their face, whether they are male or female, adult or a child, even when sick in hospital, a smile is brought to their face when we deliver a Sparkle Surprize. We also have latex Free Sparkle Surprizes for hospital deliveries, ask us for more information. 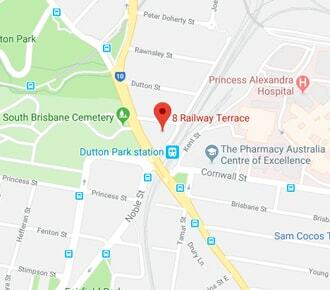 We are located at 8 Railway Terrace, Dutton Park ( Near Woolloongabba ) 4102 – we must stress, do not just turn up as we may not be there, we may be buy with other customers who have made an appointment, we could be out Sparkling an event somewhere or meeting with a valued client. We can personalise a Sparkle Surprize or Jumbo Confetti Balloon so that it is created for the person receiving it, they will know you cannot purchase this in any retail store or anywhere else, we have a professional vinyl cut lettering laser machine and we professionally apply the customisation onto the balloon ourselves, every delivery is bespoke, created for the person celebrating a special occasion. PICK UPS FROM OUR PREMISES IN BRISBANE : Yes you can certainly arrange to pick up a Sparkle Surprize or Jumbo Sparkle Confetti Balloon from our premises, you choose PICK UP in the checkout and let us know a rough time you would like to pick up.